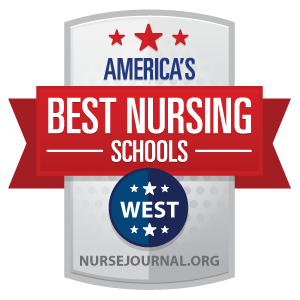 The CSU Stanislaus School of Nursing has been ranked 26th out of 442 nursing schools in the “America’s Best Nursing Schools – West Region” list published by NurseJournal.org. To determine the rankings, 20 metrics were grouped into categories that examined quality, affordability, convenience, satisfaction and value. “We believe that a good nursing school provides a quality education at a reasonable cost and offers education options that make it easier for today’s busy students to attend,” NurseJournal.org said on its website. The nursing program, which is housed in the recently renovated Science 1 building, benefits from a high-tech simulation lab that boosts the University’s ability to educate future nurses. Nearly all of the nursing graduates from CSU Stanislaus find jobs within the six-county region served by the University. “I was thrilled to learn that we were ranked in the top 5 percent of nursing schools in the western states. We strive for excellence and we are proud of our high retention and completion rates,” said Debra Tavernier, director of the School of Nursing. Students who are admitted to the nursing program at CSU Stanislaus are committed and hardworking, Tavernier said. The program’s small size enables faculty members to identify and assist struggling students early on. As a result, more then 94 percent of students who complete the program pass the national nursing examination on their first try. Along with CSU Stanislaus, seven other CSU nursing programs appeared in the top 25. To view the complete rankings, visit http://nursejournal.org/articles/americas-best-nursing-schools.